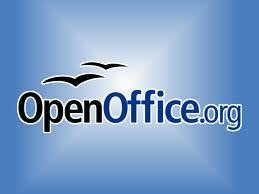 Apache OpenOffice.org is an Open Source alternative to MS Office with a Word compatible word processor, a complete Excel compatible spread sheet program and a Power Point like presentation software and drawing program and also allows to save to PDF file. Furthermore, Apache OpenOffice.org provides enhanced printing capabilities and options for direct connection with external email programs as well as form-letter management to send letters to addresses from a database. WRITER is Apache OpenOffice.org's word processor: use it for anything from writing a quick letter to producing an entire book with embedded illustrations, cross-references, tables of contents, indexes, bibliographies... Auto-complete, auto-format, and real-time spelling check make light work of the hardest task. Writer is powerful enough to tackle desktop publishing tasks such as creating multi-column newsletters, brochures - the only limit is your imagination. · non-detection of java. "Oracle" as a java provider was added to aid in JVM identification. Previously, the vendor was Sun. · Cleanup of temporary areas used by extensions installations. This will reduce the per-user disk footprint for multi-user installations.